Police charged four people with breaking into First Congregational Church in Stamford, photographed on Wednesday, Jan. 16, 2019. 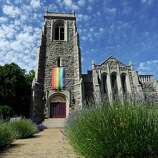 STAMFORD — The one-and-a-half-acre plot of land north of Latham Park that holds a 100-year-old church may soon become the home of a new residential development. 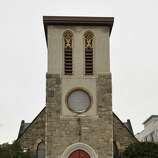 The First Congregational Church of Stamford, which has dealt with recurring budget deficits and a dwindling congregation, sold its home on Walton Place last month for $5 million. Copperline Partners, the buyer, is a real estate developer specializing in multifamily and hotel buildings. Copperline owns about 1,000 apartment units in Stamford, including the Hoyt Bedford and Morgan Manor properties. It plans to build 200 units on the church property. Rick Redniss, a land-use consultant working for Copperline, said the developer plans to preserve most of the 1913 church building while adding new residential units. “We’ve been working on plans to develop around the original church building and to try to come up with a design that sets that church building in it’s best light as we can, while accommodating a development,” he said. Copperline also owns the adjacent 80 Prospect St. lot, as well as 65 and 77 Prospect St., two multistory residential buildings across the street. The property at 80 Prospect St., which was purchased for $2,862,500 in 2016, used to hold the La Marqueta Food Plaza, and is almost half an acre. Redniss said Copperline will use both the 1 Walton Place land and 80 Prospect St. for the proposed project. The new development would become part of a larger campus with the two existing Prospect Street buildings, meaning residents from all would have access to the same amenities, said Redniss. “They have been working on this for many years,” Redniss said, referring to Copperline’s investment. The real estate developer has offices in Florida, New York and Connecticut, the three regions it most focuses on. It also owns several hotels, including the Mayfair Hotel and Spa in Miami and the Brazilian Court Hotel in Palm Beach. 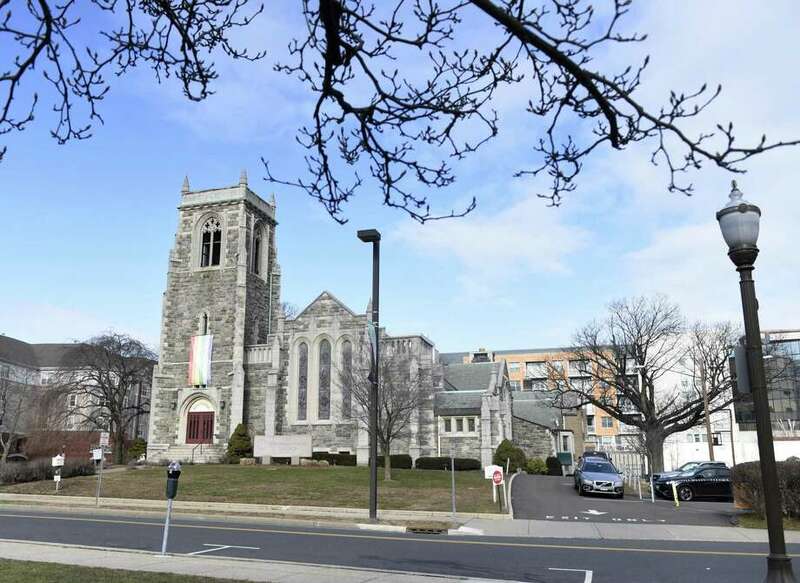 The sale will allow First Congregational, which has been in Stamford for more than 350 years, to find a space more suited to its congregation, which has become too small for the downtown church. Last summer, the church had agreed to sell the 1.2-acre property to the Coptic Orthodox Church for $3.3 million, but that deal fell through. Over the last 15 years, the church has faced an average annual deficit of $44,000, according to a letter from the church’s ad-hoc planning group from last year. In 2017, the deficit ballooned to roughly $130,000. Because of the financial constraints, the church leadership has looked into multiple ways to recoup some money, including renting space, and merging with another church. But neither solution would seemingly provide the church with the needed funds to control its budget shortfall. In an emailed statement, Pastor Todd Yonkman said church leadership hoped to find a buyer that would preserve the century-old building. “It was important that the buyer share our desire to retain much of the original structure,” he said. Yonkman said the church has a history of relocating, having moved six times since the institution originally located in Stamford in 1641. “We are excited for this opportunity to refresh our congregation in a new location,” he said. While the sale is official, the congregation is planning on remaining at the Walton Place location for most of the current year before moving to a new location.